Still not giving up on the '15-16 season, 2015-16 Panini Replay Basketball is a very late release that diverges from the normal high-end path for Panini. Every hobby box includes three total cards with the main draw being two autographs from earlier sets. As far as the original cards in 2015-16 Panini Replay Basketball, collectors can find one Rookie Card in each box from 25 of the biggest first-year names. In addition to a print run of 99 or less for the base set, four numbered parallels are also joined by variations. Although that is all there for new cards, 2015-16 Panini Replay Basketball taps into its growing history to supply the hits. Starting with 2009 sets and extending to 2015, the Replay Autographs come from the many Panini brands over the years. Two signed cards, complete with a Panini-sealed case, drop in every box. All the cards are hand-numbered and the options consist of both base and insert cards that were later signed as well as cards that were originally issued as autographs. All signed cards feature an embossed Replay logo. UPDATE (12/21): Panini has announced that a promo set will be provided to those who purchased boxes. Full details can be seen here. PARALLEL CARDS: Red #/49, Gold #/25, Green #/10. Total number of autographs for each player across the release is noted below along with the number of different cards. Many more players are included in the set in addition to what is shown below. Shop for 2015-16 Panini Replay Basketball hobby boxes on eBay. Bad stay away. Watched some breaks of this stuff. Alot of no namers and no value for $200 is a huge rip. Dont Buy. Panini should be ashamed. terrible. three cards per box, and you’ll be lucky if you know any of the players that you ‘hit’! Panini should be ashamed of themselves with this product. Right when we start to trust these card companies again, they rip us off with something as horrible as this. Worst product ever, ,most buyback are already signed for the original card. 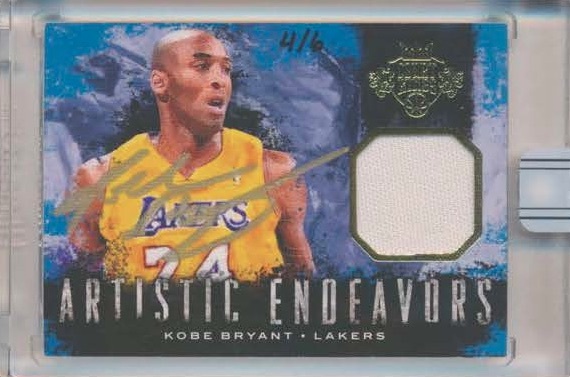 They just add a number to it and call it a buyback auto…. And the 1/1 are just non number autograph and write down a 1/1 in there. I wounder does the number even written by the player himself?! Or they just take the redemption card that no one take it and put it inside the Product?! Panini ashamed of themselves?! HAHAHA they are laughing all the way to the bank. They keep pumping out products and people will eventually rip them. They have the distributors by the ***** and the distributors have the breakers/hobby shops by their *****. One out of every five products will be decent and they will make lcs/breakers buy the shite products to get the decent stuff. Only way to stop it is to stop opening the products but with breakers all over the place, the collectors will line up. Wake up, Panini doesn’t care about the hobby or collector (Panini Points anyone), they just care about making money. Football ruined. Basketball ruined. Soccer ruined. Nascar next. Echoing the sentiments of those above. This is absolute trash. $200 a box and you can buy most of the cards for $20 or less online. Put this in garbage where it belongs. They tried to copy Topps Archives Signature edition and failed miserably. Agree with everyone else. Bunch of no name spectra autos. I couldn’t believe 3/4 of the way through the case the biggest name was Jeff Hornacek in a 76ers Uniform. So glad I wasn’t the guy who spent $225 for the Warrior Break. This has to be the biggest crap product I have ever seen. There is a problem when the one touch holders are worth more than the piece of crap card inserted in them. Panini is a joke and continue to crush there customers. This crap should be $50 a box & even that there pushing it. Spend 200-250 & receive 2 one touch holders. Dam that’s a great deal. If I could give Replay a 0 I would. $150 of value in a $2,300 case isn’t just horrible it’s borderline THEFT by deception. Loaded with high number D leaguers and washouts. STAY AWAY! This product is so bad Panini should be held legally liable for the extreme mental pain & suffering it has caused – seriously they owe their customers a big apology! Incredible arrogance on their part to think we would like this product- are they out of touch or what ? Think about people- think about how much Panini now takes your business for granted. This is not a bad product, it is straight up FRAUD. Product is not how it was represented at all in pre sale material and has crossed the line. You can’t promote one thing and then ship something else. Insipid. 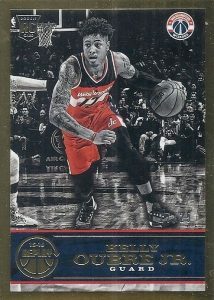 Contemplating the prospect of selling every single Panini product in my collection solely due to this trash existing. These cards are so bad, they don’t deserve a checklist and they don’t deserve to be listed in price guides and that’s how much of an embarrassment this product is to the card collecting hobby. Panini should be incredibly ashamed of themselves. I’m pretty sure most of these cards are just old redemptions that were never sent out…There are some true buybacks that are decent players, but it doesn’t make this a good product whatsoever. However, if you are somebody who buys singles on eBay, get ready to win $2.38 auctions all day long, because most of these cards have no resale value…This product could have been so much more…. Simply terrible. Shame on you Panini and shame on me for falling for it.